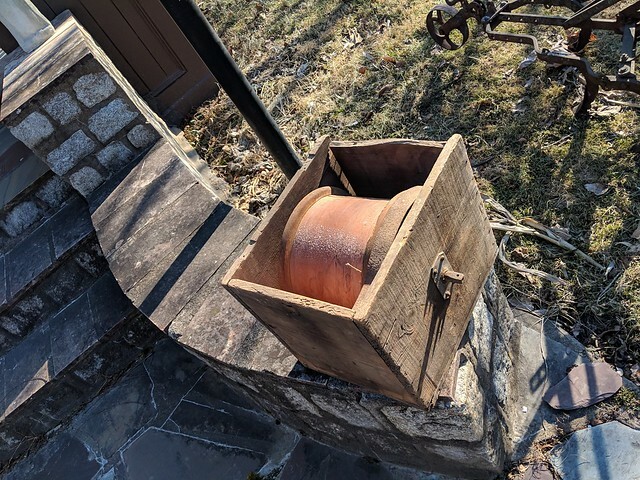 this is a wood box with a roller inside. roller is wood with a coating on it. 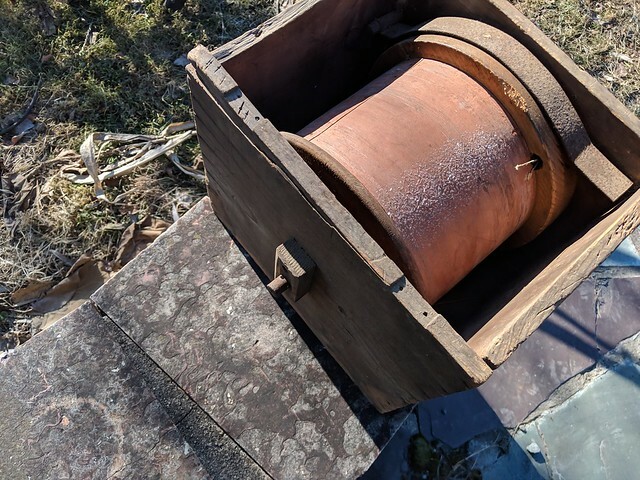 That flatbar band in the second picture looks like it might be a brake so that leads me to think the drum was for storing some kind of string, wire, or some thing similar and you would use the brake to control how fast the sting or whatever was pulled out which would prevent it from get tangled up. Maybe some long survey chain or a type of measuring device. that seems right, there is a bit of wire or thin cord sticking out of the rim.